The breeding of Red Locusts and African Migratory Locusts in Malawi, Tanzania, Mozambique and Zambia is likely to affect food security in East and Southern Africa. According to Wikipedia, red locusts are large nomadic grasshoppers which are mostly found in Sub-Saharan Africa while the African Migratory Locust is mainly found in Africa south of the Sahara Desert and its main breeding ground is along the Niger river in West Africa. The two locusts are a huge threat to the region's food security and their spread across the four countries are likely to cause massive losses to farmers especially that their main target maize (corn) is the staple food for many people. Already, Malawi has a food shortage and last year, the southern African country imported 100,000 metric tones of maize from Zambia. This maize deal was however marred with irregularities leading to investigations in both countries. The so-called 'maizegate' scandal led to the dismissal of the Malawian Agriculture Minister George Chaponda last week. Malawi imported the maize from Zambia and an additional amount from Romania due to a food crisis in that country. The two pests invading the region, Red Locusts and the African Migratory Locusts, destroy every green vegetation in their route and they cover hundreds of hectares on a daily basis when they are at the peak of their invasion. According to aerial survey results by the International Red Locust Control Organization for Central and Southern Africa (IRLCO-CSA), there is an upsurge of the two species of locusts in the region. “In Malawi, we have identified two breeding areas, Mozambique has two breeding areas and in Zambia, the locusts are breeding in three areas but only two are active,” said IRLCO-CSA Director Moses Okhoba in an exclusive interview at the organisation’s headquarters in the Zambian city of Ndola. Mr Okhoba named the two active breeding grounds as the Kafue flats and the Lukanga swamps, both in Zambia’s Central Province. He warns that if the locusts are not controlled in the four countries, they can cause unimaginable damage to food and possibly increase poverty. Maize is grown along the rivers and streams an the coming of the locusts has sent shivers among farmers who fear that the pests will wipe their crop. “The good part is that in the 22 day survey we did with our officers on the ground and aerial survey, we found that the locusts are at the hopper stage and they are immobile, meaning we can control them. What we don’t need is for them to grow and start moving,” he added. Within February, IRLCO-CSA officers surveyed 240,000 hectares of land in Zambia and they found both Red Locusts and African Migratory Locusts breeding. During the survey, it was discovered that 76,000 hectares had been invaded by the locusts. This led the organization to issue an alert to its six member countries: Kenya, Tanzania, Zambia, Malawi, Mozambiaque and Zimbabwe. It asked for K10 million (US$1 million) to fight the locusts but so far only Zambia has come forth with K2 million (US$200,000). According to Mr Okhoba, other countrues are expected to make their contributions in the coming weeks so that the IRLCO-ESA can extend its prevention activities to other affected countries. This past week, the organization dispatched its helicopters to the Kafue and Lukanga flats in central Zambia for aerial spraying. 3,600 hectares of land was sprayed to kill the breeding locusts within four days. This was despite the fact that the affected area is partly in the Kafue National Park which has dense thickets which are full of wild animals. Environmental activists fear that the aerial spraying can pose a significant danger on the environment as well as living organisms, especially if it is not properly done. 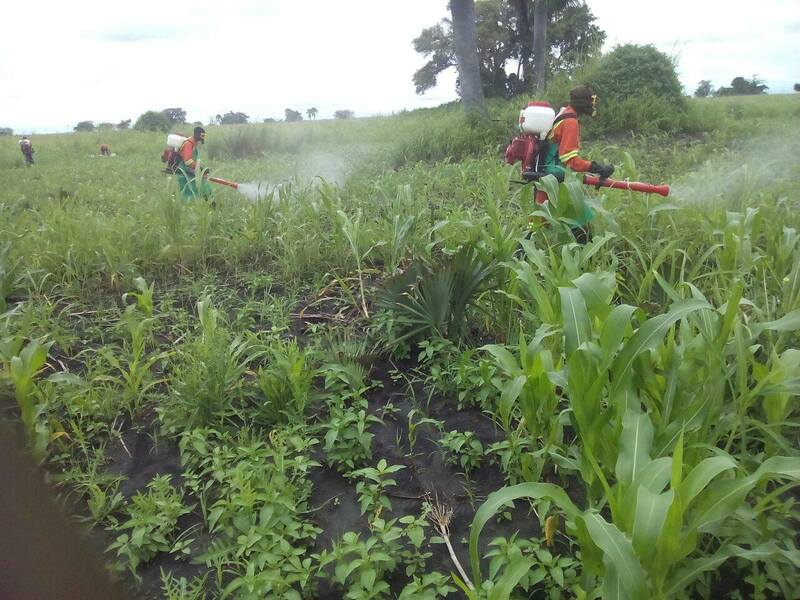 “In as much as the red locust invasion of maize field in the Kafue flats is indeed a regrettable occurrence, It is still very important to question the quality of the aerial spraying process. 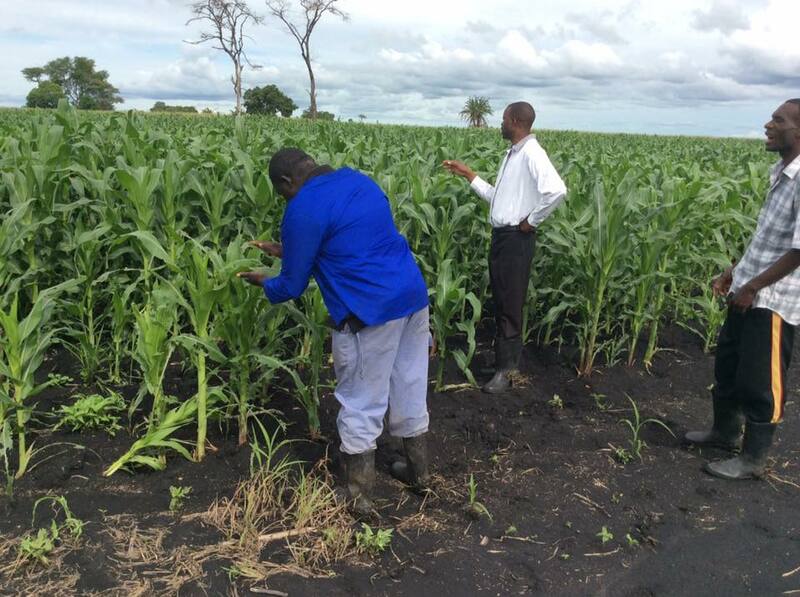 We must understand that there is more to it than just protecting maize from damage,” said Young Volunteers for the Environment Executive Director Muyunda Akufuna in an interview. He added that the impact of aerial spraying is very difficult to control because wind can always dictate the direction of the chemicals. About 10,000 hectares of maize field close to the two affected areas would have been invaded by the locusts if they had matured to levels were they would have started moving around. “From planting a seed, a farmer awaits for his harvest with great expectation and when disaster like this happens it's really a great loss. As a farmer myself this is so painful,” said Prince Mnisi, a farmer who has been planting maize for a number of years. 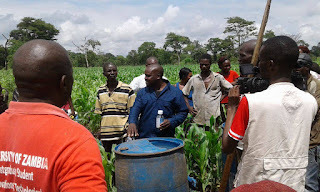 Mr Hamatala, who is also the Mumbwa District Council Chairman, said he had been engaging farmers, the community and agriculture extension officers over the matter. He recently toured a number of farmers that have already been destroyed by the locusts. 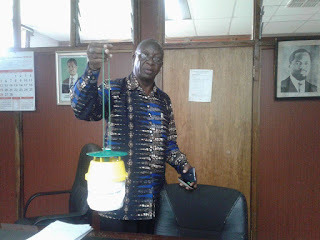 The large part of the locusts are still breeding, prompting the IRLCO-ESA to send a small team of motorized officers to spraying fields in Mumbwa, Itezhi-Tezhi and Namwala districts. These officers have been spraying areas of between 45 and 50 hectares a day. And in the past days, over 450 hectares of land near farmland has been sprayed, saving maize crops which are a lifeline for many. “With all the support we are receiving from the Zambian government, we expect to contain the locust outbreak in Zambia by March,” said Mr Okhoba. Maize is Zambia’s staple food and the decline in annual yields may affect the country further by increasing poverty levels which are already high. In December 2016, Zambia was hit by an outbreak of the fall army worms and stalk borers which destroyed hundreds of thousands of maize fields. On 16 December 2016, this blogger broke the story on army worms. At the time, the International Red Locust Control Organisation for Eastern and Southern Africa warned that 40% of Zambia’s crop maybe destroyed if quick action was not taken to contain the pests. 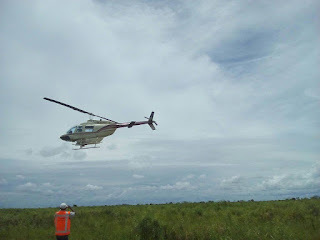 With this warning, the country’s food security was at stake and Zambia’s President Edgar Lungu deployed the Zambia Air Force, the Disaster Management and Mitigation Unit and the Ministry of Livestock and Fisheries to supply chemicals to six of the 10 provinces affected by the pests. On January 6, the Ministry of Finance released K30 million (US$3 million) for the fight against the fall army worms which scientists suspect originated from the Americas and came to Africa through trade. 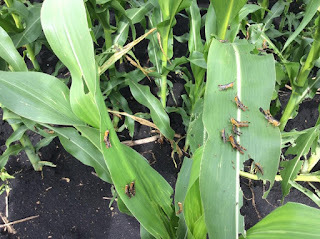 The destruction by the fall army worms and stoke borers was farmers to replant their maize and most of them replanted late and they may have reduced yields when they harvest in April. This invasion has since been contained. The fall army worms also caused destruction in neighboring countries such as Zimbabwe. In 2013, Zambia had its first case of army worms and thousands of hectares of maize were destroyed. However, the species which caused damage in 2013 was the African Army Worm which is less destructive than this year’s pest the Fall Army Worm. The intention was good but the implementation veered completely off course. The idea was to train mechanics, electricians, metal fabricators and other specialists in like fields. 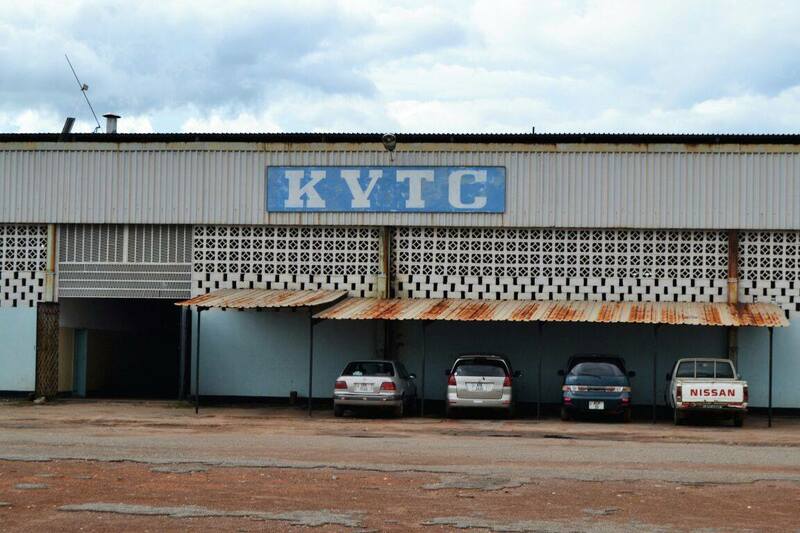 And that is why Kitwe Vocational Training Center (KVTC) was established. 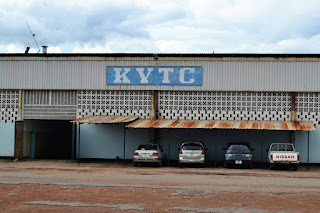 KVTC was established in 1998 at the workshop for the now defunct United Bus Company of Zambia in Kitwe’s Racecourse area. 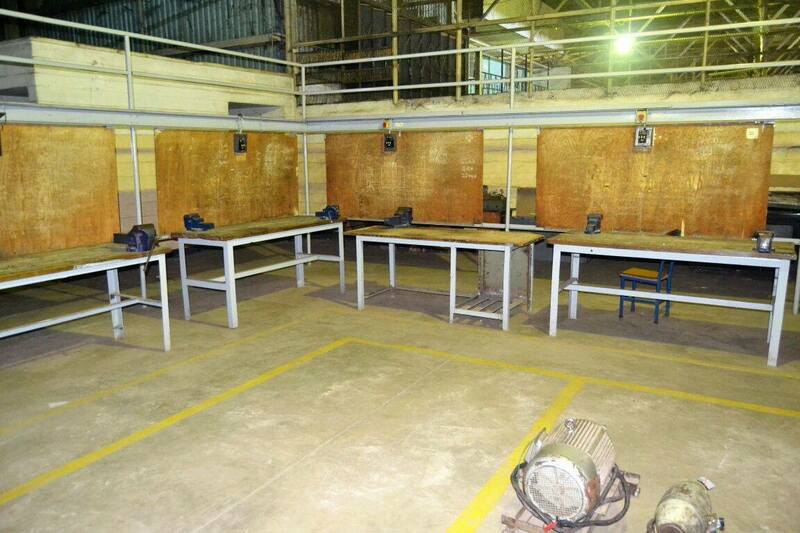 The institution enherited a state of the art workshop which over the years has been under utilized. The institution is not living according to its ideals. Over the years, equipment has run down, dust has gathered and the relevance of the institution is slowly being lost. The students’ hostels are a sorry site. Cooking is done on an element mounted on bricks. Illegal electrical connections are the order of the day. Higher Education Minister Professor Nkandu Luo toured the institution last week and she was shocked with what she found. In the male student’s hostel, she found first year students chatting on the veranda which is used as a kitchen. She took to task the Principal Jolly Chembe for not providing proper cooking utensils and cleaning the hostels. “Honourable Minister I didn’t know about this problem here. I wish the Maintenance Officer was here to tell me why this place is this dirty,” said Mr Chembe. In the workshop, equipment is not properly stored. Dust accumulates on the items used for lectures because most of them are not properly secured. Clearly, KVTC is a mess. “There is no order here. This institution is too dirty. If students are not taught to clean after they cook, they will also go with that habit in their homes. What society will we have?” said Professor Luo when she addressed members of staff and management. However, in terms of potential, this institution can make money. In 2013, it won a contract and supplied 11,000 desks to the Ministry of General Education. The institution wants more of such contracts to offset the K2.5 million debt it has accumulated. “We have in the past few months submitted two separate tenders to supply 15,000 single sit desks and another 15,000 double sit desks to two separate institutions. We are asking for government to deliberately give such contracts to institutions like ours so that we can meet our financial obligations,” said KVTC Board Chairman Wilbroad Chisunka. Problems at KVTC are many. Workers called off their two weeks strike a few days ago. They are owed their January and February salaries. 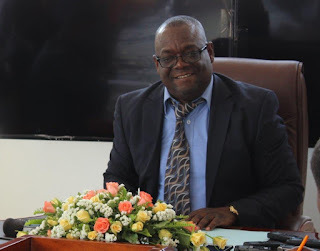 The institution also wrote to the Nkana Water and Sewerage Company to disconnect it from its water supply due to its failure to settle bills. Currently, the institution uses water from boreholes. In all these problems, government officials cite leadership as a contributing factors to the institution’s challenges. “The board here at KVTC must start thinking outside the box. They will have themselves to blame if they are dissolved. This institution has the capacity to raise its own funds without relying on government grants,” said newly appointed Kitwe District Commissioner Binwell Mpundu when he toured the institution two weeks ago to familiarize himself with its operations. Due to all these challenges, even the student enrolment for 2017 has dropped drastically. The institution has a student capacity of 600 but only 300 have enrolled this year. In terms of accommodation, KVTC has a bed capacity of 137 but only 93 students are in boarding. Despite all these challenges, the good news is that the Ministry of Higher Education has increased its annual grant allocation to the institution. For this financial year, the Ministry has added K500,000 to the institution’s grant which may help to turn around things at KVTC. Hopefully, the institution will soon stand tall and weather the storm. The Kapiri Mposhi Magistrate's court has sentenced a 34 year old mother of Material Compound to five years imprisonment with hard labour for burning the hands of her seven year old daughter over sweet potatoes. Kapiri Mposhi Resident Magistrate Axion Mumba sentenced Doreen Nsongwe after he found her guilty of burning her daughter's hands with hot charcoal after she ate sweet potatoes at a neighbour's house. 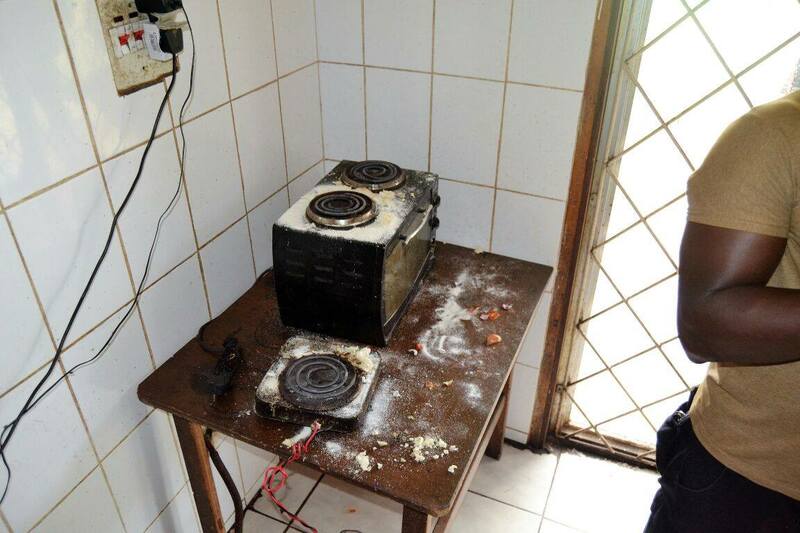 Magistrate Mumba described Mrs Nsongwe's action as barbaric. He added that, as a mother, the defendant shouldn't have done what she did. In her mitigation on Tuesday, Mrs Nsongwe said she was just punishing her child and asked the court for forgiveness adding that she looks after many children. Mrs Nsongwe is expected to be transferred to Mukobeko Maximum Security Prison in Kabwe where she is expected to serve her sentence. The burnt child, Lillian Nsongwe, is a Grade One pupil at Material Primary School within Kapiri Mposhi. Lillian was burnt on Thursday last week. The case was reported to the Police by Mrs Nsongwe's husband who is the child's stepfather. During the woman's arrest on Monday, her neighbours wailed uncontrollably as she was led away to the Kapiri Mposhi Police Station. Her daughter was also taken away by the District Social Welfare Office who are looking into her plight. 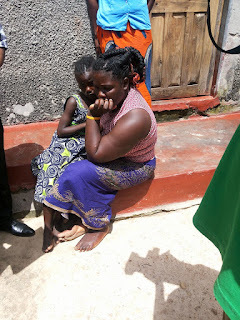 A 34 year old mother of Kapiri Mposhi in the Central Province has been arrested for burning the hands of her seven year old daughter after she ate sweet potatoes at a neighbour's house. Doreen Nsongwe has been remanded at the Kapiri Mposhi Police Station where she has been charged for the offence of assaulting a child. "We received a report of a seven year old girl of Kapiri Mposhi being burnt by her mother. The report was given to the Police by the girl's stepfather who said the mother was annoyed because the girl ate at her neighbour's house," said Central Province Police Commissioner Lombe Kamukoshi in an interview. According to an officer who conducted the arrest in Material Compound, on 9th February, Mrs Nsongwe got hot charcoal and placed it in the hands of her daughter Lillian which ended up burning her severely. Lillian is a Grade one pupil at Material Primary School. During her arrest yesterday which this blogger witnessed, Mrs Nsongwe cried, saying she was trying to discipline her daughter when she burnt her. The arrest attracted a huge number of neighbours, some of whom wailed as she was led away into a vehicle by uniformed Police officers. The victim, who was visibly traumatised, cried as she noticed that her mother was being led away by police officers. And Kapiri Mposhi District Commissioner Peter Mwiinde vowed that parents who physically harm their children should be prosecuted. "This is total stupidity. Such parents must be arrested and taken to court. Am ordering all the Police officers in the Victim Support Unit, do not release such culprits, take them to court and let them face the law," said the visibly annoyed Mr Mwiinde. Mrs Nsongwe was today expected to appear before a magistrate's court in Kapiri Mposhi. Her child has now been taken by the District Social Welfare Office which will monitor her progress as she is being treated by medical personnel. Gender Based Violence (GBV) is a major problem in Kapiri Mposhi. This has led government to construct the first ever GBV One Stop Center in the District which will serve the whole province. The center has so far reached roof level and the contractor Workman Limited is on schedule. K1.4 million is being spent on the project. "GBV cases here in Kapiri Mposhi are on the rise due to the location of the town. 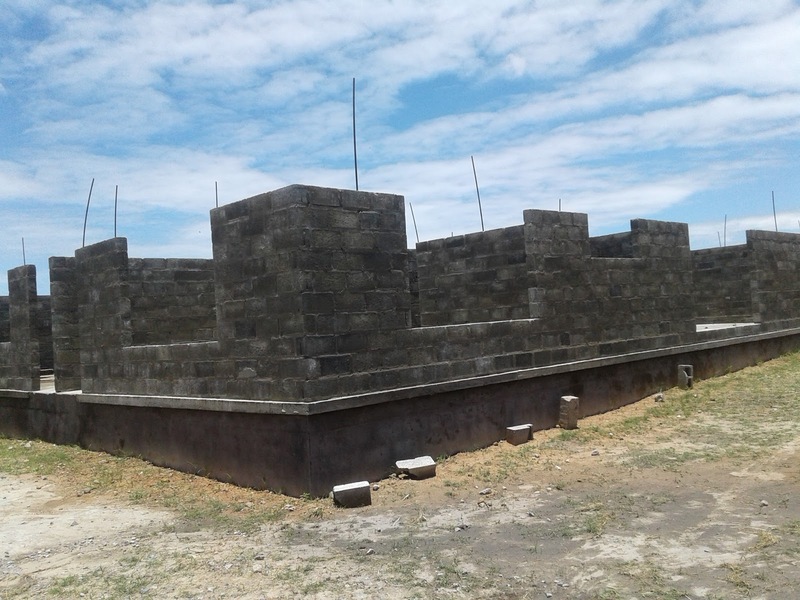 We need this GBV One Stop Center because currently, victims have nowhere to run to," said Kapiri Mposhi District Social Welfare Officer Moses Manasseh in an interview. He added that once completed, the center will offer refuge to GBV victims and those who do not need shelter will be going there for counselling. The HIV prevalence rate for inmates in Zambia is now estimated at 27%. The baseline survey gives insight into the hidden picture of the AIDS pandemic behind bars. Since independence, no independent survey has ever been done to assess the extent of the disease among prisoners. VSO Country Director Edward Kakande says his organisation has started working on strategies to mitigate the problem. Mr Kakande says VSO has partnered with the Zambian government to implement a three year project aimed at promoting human rights and access to health services in correctional facilities. “VSO has over a year now actively engaged in supporting health in prisons, joining our VSO regional health program that has been working to address challenges specific to the prison setting for nearly 15 years,” said Mr Kakande during a recent two day workshop for prison officers in Ndola. Last week, the organisation brought together 30 Prison officers from across the country to train them in mediation, advocacy and Reintegration. The training was in line with the reforms going on in Zambia following the amendment of the country’s constitution in January 2015 which transformed and renamed the Zambia Prison Service to the Zambia Correctional Service. The training, which was the first of its kind, was held under VSO’s three year project aimed at protecting human rights in prisons and access to health services in Zambia, Swaziland and Zimbabwe which is funded by the Swiss Agency for Development and Cooperation (SDC)..
“Reducing transmission and improving treatment, care and support in prisons is thus an integral part of reducing the spread of infection in the broader society,” added Mr Kakande. The issue of HIV and AIDS in Southern Africa is one of the pressing issues the Southern Africa Development Community (SADC) is combating. The regional body has come up with several minimum standards on HIV and AIDS for HIV testing and counselling, child and adolescent HIV and other communicable diseases. This is where the VSO project fits in. Despite these good guidelines, most of them are not implemented by member states despite them being part of the formulation process. 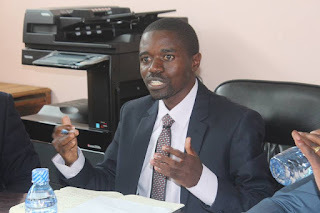 And Prisons Care and Counselling Association (PRISCCA) Executive Director Godfrey Malembeka says there is need for Zambia’s Ministry of Finance to increase funding to the Zambia Correctional Service so it can ably fight HIV and AIDS among inmates. Mr Malembeka, whose organisation is working with VSO on prison reforms in Zambia, says the situation in the correctional facilities is not conducive because access to medicines by inmates is limited and the number of health personnel is low. “The people in the prisons are strong, they are tested often. I was tested three times myself. What we need is more funding from the Ministry of Finance so that the fight and HIV and AIDS in prisons can be scaled up,” said Mr Malembeka who is a former inmate and is now an activist who champions the rights of prisoners and ex-inmates. 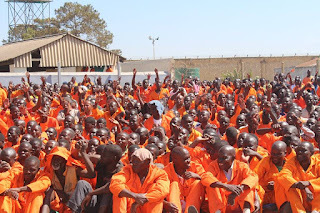 According to sources, the Zambia Correctional Service has less than 10 medical doctors looking after thousands of inmates in dozens of prisons spread across the country’s 10 provinces. This scenario poses a challenge to those who are incarcerated and are on anti-retroviral therapy as it becomes a challenge to be ably attended to. But Zambia Correctional Service Commissioner General Percy Chato, who opened last week’s workshop in Ndola, said the ongoing reforms in the prisons system will help in promoting human rights. “It is in the public domain that correctional jurisdictions across the globe have taken steps to improve on their human rights records on the international sphere,” said Mr Chato. Mr Chato added that the Zambia Correctional Service command was determined to ensure that the ongoing reforms work in the best interests of the community and the inmates. 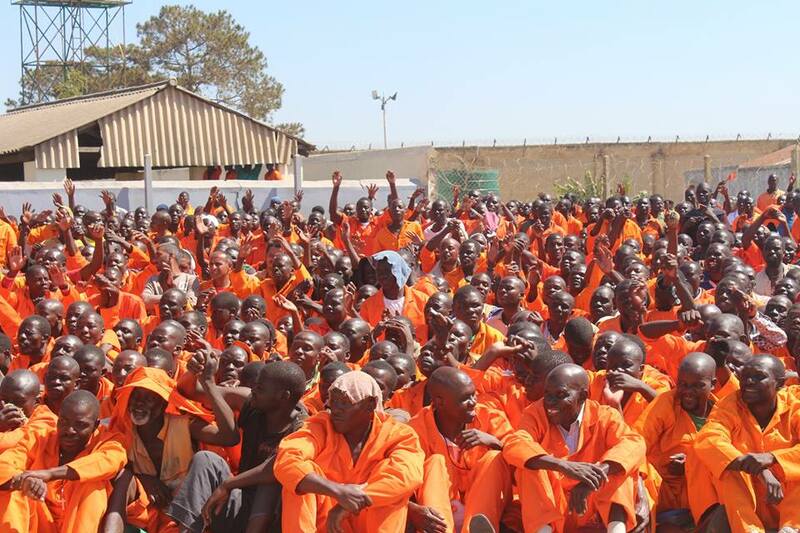 These efforts to improve the lives of inmates are not just at SADC level. At continental level, several steps are being taken to safeguard the lives of inmates. In November 2003, the African Union adopted the Ouagadougou Declaration on Acceleration of Penal and Prison Reforms which seeks to reduce the prison population in Africa, applying the rule of law in prisons and promoting best practices among prison officers. The Ouagadougou Declaration was preceded by the 1996 Kampala Declaration on Prison Conditions, the Kadoma Declaration on Community Service Orders in Africa in 1997 and the Arusha Declaration on Good Prison Practice adopted in 1999. All these documents are aimed at helping member states to entrench the best practices of prison management in their countries and meet the so-called ‘Tokyo Rules’ which are a United Nations guidelines for prison services worldwide. EDITOR'S NOTE: This story was also aired on TV1 on 7th February 2017. The video can be watched here. CNMC Luanshya Copper Mines has pumped US$3 million into its slag treatment plant which has created 150 jobs for the miners who were last year sent on forced leave when Baluba Mine was placed under care and maintenance. The mine was placed under care and maintenance following the drop in the copper prices at the international market and the reduction of electricity supply to the mine after the reported reduction of water levels in the Kariba dam. 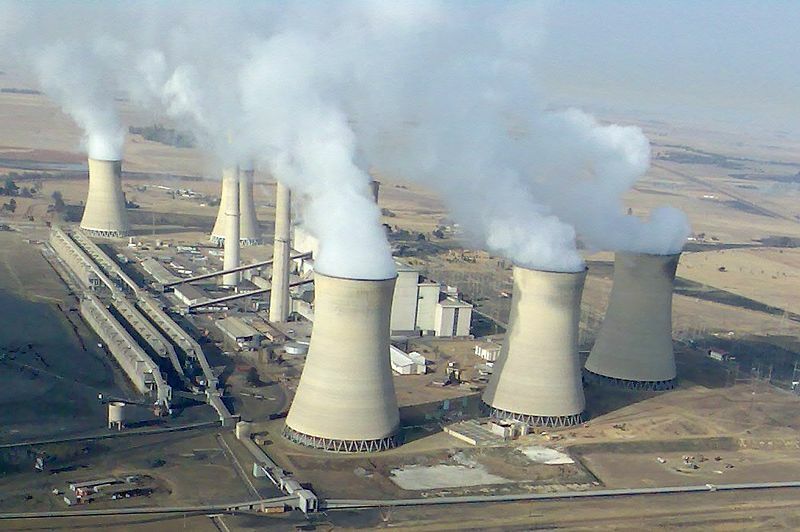 Power supply to the mine was reduced from 55 megawatts to 40 megawatts in a bid to ration power in the mines following a countrywide energy deficit. 1,200 workers at Baluba mine were sent on forced leave and since then, they have been receiving a minimal salary per month while a good number of them decided to move on. CNMC Luanshya Copper Mines Spokesperson Sydney Chileya says following the rise in copper prices, the mine has decided to recall 150 workers who will work at the slag treatment plant. “So far, 41 artisans, boilers and electricians have resumed work following the injection of the $3 million to revive the plant. 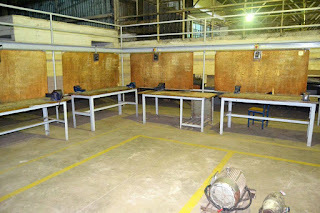 Once these workers make the necessary preparations for full operations, our plan is that in the coming weeks we will have the full team in place,” said Mr Chileya, while leading this blogger on a tour of the plant. According to an employment schedule by the mine, dozens of workers will be recalled per week until the number 150 is reached at the end of March. The first batch of 41 recalled workers has since finished the mandatory two day induction training. At the time this blogger visited the plant on Thursday, the workers were on their first full day at work. And one of the recalled workers Paul Malama says life was hard when he was on forced leave as he was unable to meet most of his family’s basic needs. “I spent the last one year and four months at home. It was not easy to keep up with home needs. I had been praying to God for a miracle and now it has happened,” said the smiling Malama. Despite the company recalling only 150, the full capacity of the slag treatment plant is 160. “At this plant, we need between 150 and 160 workers. At its peak, this plant is a hive of activity,” said Golden Chilukutu, the Plant Manager. CNMC Luanshya Copper Mines is the largest employer in the mining town of Luanshya. 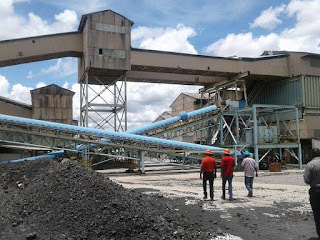 “We are happy that Luanshya Copper Mines has pumped in money in its slag treatment plant which has created jobs for our brothers from Baluba who were sent on forced leave. This is the way it is supposed to be,” said Luanshya Mayor Nathan Chanda in an interview. Meanwhile, the stock piling of slag just outside the plant has started and work is expected to be at its peak in the next three weeks. In the last two months, the mine has had two workers strikes over salary increments. However, mine management and the mine unions reached an agreement on monetary incentives for the workers and negotiations for the next collective agreement are expected to resume in October. CNMC Luanshya Copper Mines is a Chinese owned company which is a subsidiary of NFCA Mining, a conglomerate which runs mines and smelters across the Copperbelt. It is a settlement which was illegal for almost twenty years. Its legalization was only done in 2015. And now services from the local authorities are slowly reaching these people. Mikiloni is a compound in Chingola which sprung up near a mine dumpsite. The area has had no clean running water for its population which is estimated to be close to 15,000. Residents drink water from shallow wells and from quarries which are remnants of mining activities in the area. In the past year, two people have drowned in one of the largest quarries while fetching water. This just shows how people in this area risk to find drinking water. “I have lived in Mikiloni for the past 15 years and we have no single water pipe from Mulonga Water and Sewerage Company. We are also Zambians, we deserve water,” said 56 year old George Chellah. Other residents are worried with the quality of water they currently consume. “We have problems here. Water is a challenge. We have been drinking from shallow wells and this is not safe for us and our children. 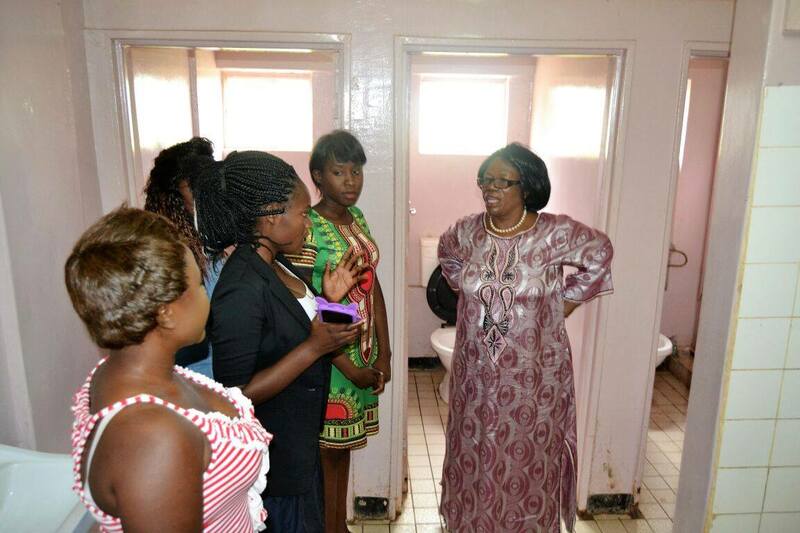 Waterborne diseases are common in our compound,” said Mary Chanda in an interview. However, the people of Mikiloni will soon have clean running water for the first time in their lives. The water utility firm Mulonga Water and Sewerage Company is in the process of connecting over 600 households with water. 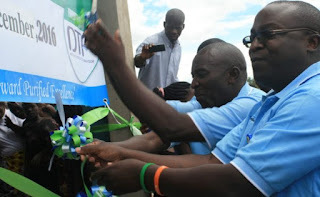 The Devolution Trust Fund (DTF), which is an arm of the National Water Supply and Sanitation Council (NWASCO), has provided K3 million to connect the area to its water reticulation system. This means residents will also have sewerage services. Currently, they use pit latrines to answer the call of nature. “Under the Mikiloni Water Project, we are connecting 600 households. This translates into 10,000 beneficiaries. We hope to complete phase one of the project in June this year,” said Mulonga Water and Sewerage Company Public Relations Manager Debora Kangende. The project was launched in January this year and so far, significant progress has been made on the ground. A check by this blogger in neighbouring Maiteneke area found workers from the utility digging trenches were pipes will be laid to transport water to Mikiloni. In some areas, pipes have already been laid. Solar energy, mounted on homes of African cities and a gradual switch to electric cars would be a huge boost in efforts to cut fossil fuel emissions on the continent. With poverty and hunger being concerns on the continent, this may seem like posh, elite topics – but Africa has to plan ahead – and stop burning fossil fuels. The evidence is clear. Solar power and clean cars are ‘gamechangers’ consistently underestimated by big energy, says Imperial College and Carbon Tracker research. It is thought by 2035, electric vehicles could make up 35% of the road transport market worldwide, and two-thirds by 2050. Africa cannot lag behind in this innovation. In African countries like Zambia, where Solar Aid says, only 29% of the population is connected to the hydro-electricity grid, solar energy should be a healthy alternative. Coal energy and mining, the mainstay of African economies like Zimbabwe and South Africa, is increasingly becoming a burden elsewhere. For example, abroad, a 10% loss of market share was enough to cause the collapse of the coal mining industry in the US, while Europe’s five major utilities lost €100bn (£85bn) between 2008 and 2013 because they did not prepare for an 8% increase in renewables, the report said. Big energy companies are seriously underestimating the low-carbon transition by sticking to their “business as normal” scenarios which expect continued growth of fossil fuels, and could see their assets “stranded”, the study claims. In Africa this could bring serious bankruptcy and financial losses to coal miners and state electricity utilities if investors and corporations don’t plan for a life when renewable energy will outstrip coal use. One expert, Luke Sussams, a senior researcher at Carbon Tracker, says: “Electric vehicles and solar power are gamechangers that the fossil fuel industry consistently underestimates. As for Africa, our so-called greatest friend, China, is taking the lead while our energy regulators sleep on the job. 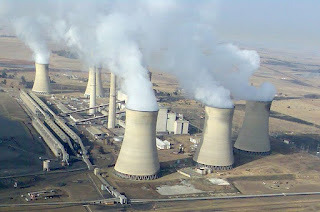 If Africa fails to curb its dire consumption of coal to power energy factories, I fear drought, climate change and costs will force the continent to switch to clean solar energy. The time to be proactive is now, for the continent. Tanzania is known worldwide for its serene safaris and roving wildlife game, but British scientists are developing an App that could save Tanzania´s critical Tilapia cichlid fish species. This could spur the country to double its fish output by 2025. Tilapia, second only to carp as the world’s most frequently farmed fish, live in huge numbers in the Great Lakes (Victoria, Tanganyika, Malawi/Nyasa) that cover six percent of the country. The lakes are considered a global biodiversity hotspot – one of only 25 worldwide. However, Tanzanians eat on average only 8kg of fish per year, less than half the international average of 17kg. Around a third of children in Tanzania under five are deficient in iron and vitamin A, contributing to stunting. 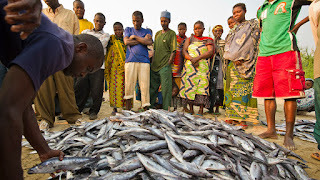 Fish provide more efficient nutrients than other sources of animal protein in Tanzania. Tilapia is attractive because they can be reared on inexpensive vegetable matter and agricultural waste. Tilapia farming in Tanzania is mostly for subsistence or for small-scale markets. Around half of the world’s tilapia species are native to Tanzania. To develop an aquaculture strategy for Tanzania, 30 scientists representing Tanzanian stakeholders as well as international research organisations met for a three-day workshop on Tanzania´s holiday island of Zanzibar. The main outcome of this workshop was a new consortium between the partners, committed to establishing the country´s National Aquaculture Development Centre (NADC). The NADC could help triple the contribution that aquaculture makes to the economy, double the production of fish in the country by 2025 and improve access to fish as a protein source - especially for women. Tilapia species from a broad range of ecosystems - including lakes, river systems, reservoirs and fish ponds across the country - will form the focus of the research. Genetic analysis of 31 species, including 26 that are found nowhere else on the planet, could reveal important traits for creating the country’s own commercial bloodstock. Using native species could also help secure the Tanzania´s biodiversity. For example, it eliminates the risk of non-native strains escaping and hybridising with wild species. Federica Di Palma, Director of Science, Earlham Institute (EI), says: “By sharing the results of genetic analysis and helping to build expertise, we can make a real contribution to helping to grow a national industry." Pupils failed and their failure was loud enough for the whole nation to notice. Social media was full of ridicule for those provinces which did not do well. Copperbelt and Western Provinces have been the shining examples in Grade seven, nine and twelve examinations. But the results from last year’s exams have even embarrassed the teachers. “The results where embarrassing, we hope to change the scenario in the coming years. As teachers, we promise to work hard and change the image,” said Bernard Kamfuli the Headteacher at Mufulira Secondary School during a meeting to discuss the performance of teachers in class. With this confession in mind, education authorities are now left with a huge question. Those charged with the responsibility of ensuring that standards in the education system are enforced, have an idea of what happened. “I think we need to intensify the inspection of teachers in schools. We also need to help our pupils grasp what they are taught in class. I must say am disappointed with the results Copperbelt recorded but we can do better,” said Copperbelt Provincial Education Officer Paul Ngoma at the same meeting. In order to avoid the report of the disastrous school results, the Zambia government has since instituted a number of measures to improve examination performance by pupils. So far, a new strategy called the 16 Hour Policy is being implemented. The strategy forces pupils to spend one hour studying after they knock off on a daily basis. Teachers too are also forced to spend a further one hour after classes in order for them to prepare their lesson plans. This policy is being piloted in Mufulira District on the Copperbelt. “So far, the 16 Hour Policy is working well. Pupils are having prep shortly after class and this gives them an opportunity to revise what they have ust learnt. But we also need to check teachers and see how many lesson plans they had the whole term,” said Mufulira District Education Standards Officer Henry Mwale. The failure late in last year’s exams cannot be solely blamed on the pupils. A recently conducted survey by two researchers shows that the quality of teachers and lecturers graduating from the country’s 106 colleges and over 25 universities are some how below par. The research, which sampled hundreds of students from across Zambia, showed that the learners do not get the education needed for them to pass and implement in their day to day life. “We discovered that when we asked the pupils if they were satisfied with what they were taught in class, most of them said no. Most of the learners do not think outside the box because we have not taught them adequately. So there is need for the teacher to be prepared too,” revealed Grace Chilekwa the lead researcher who is also the Principal at Mufulira College of Education, an institution which is the premier trainer of teachers on the Copperbelt. In order to fight this inadequacy in the teaching profession, the Japan International Cooperation Agency and the Ministry of General Education have launched a K2.8 million program called IPECK. IPECK stands for Improvement of Pedagogical Content Knowledge among teachers and lecturers. The program targets those who teach pupils and the aim is to improve quality of what is being taught in class. “Copperbelt and Western Provinces used to be the provinces to watch. But now the results are bad. We hope that with the coming of the Japanese, we will improve our record. Please teachers I urge you to change your mindset and deliver,” said General Education Permanent Secretary Henry Tukombe when he launched the program. For the next five years, dozens of teachers and lecturers from across the country will be retrained to sharpen their teaching skills and in the end raise the pass rate. Some Japanese experts in the education system are already in the country and they have embarked on the capacity building for the teachers and lecturers. 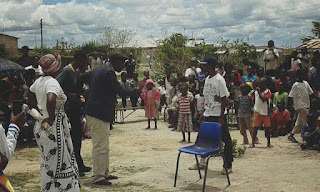 Currently, they are doing their activities at Mufulira College of Education. Hopefully, at the end of this year when pupils sit for their exams, the pass rate on the Copperbelt and Western Province will go up with the help of IPECK.